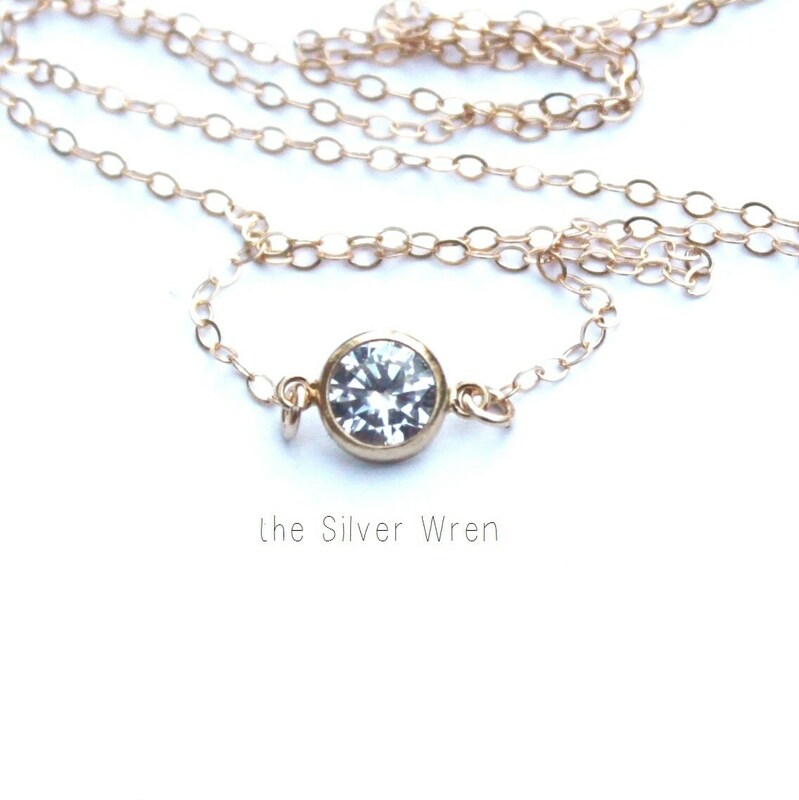 Created with a dainty little CZ charm approx 11mm by 7mm suspended on a delicate chain. 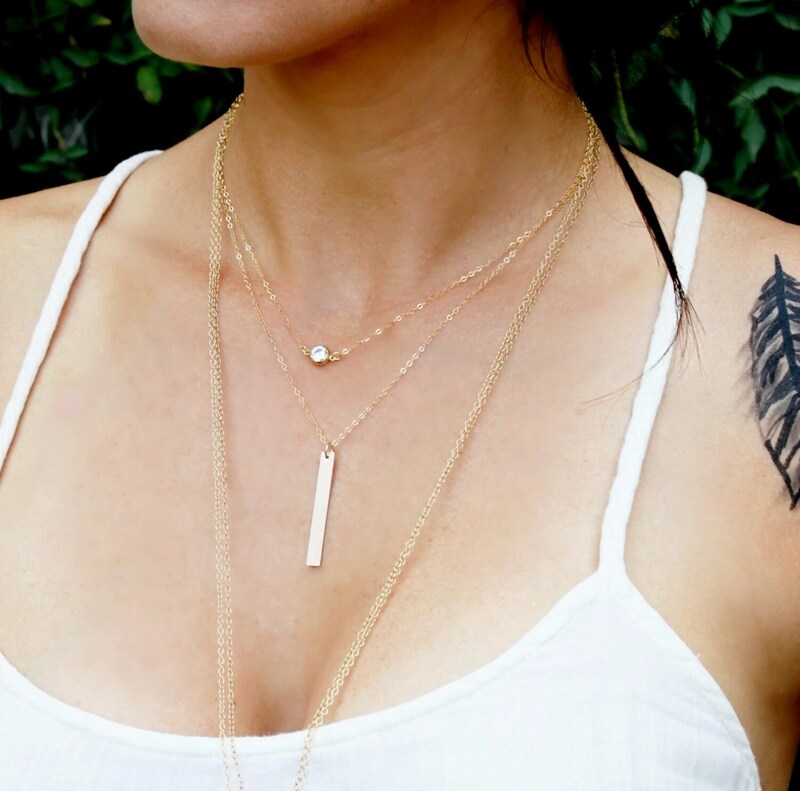 Choose sterling silver or 14kt gold filled. Choose either a 16, 18 or 20 inch chain. 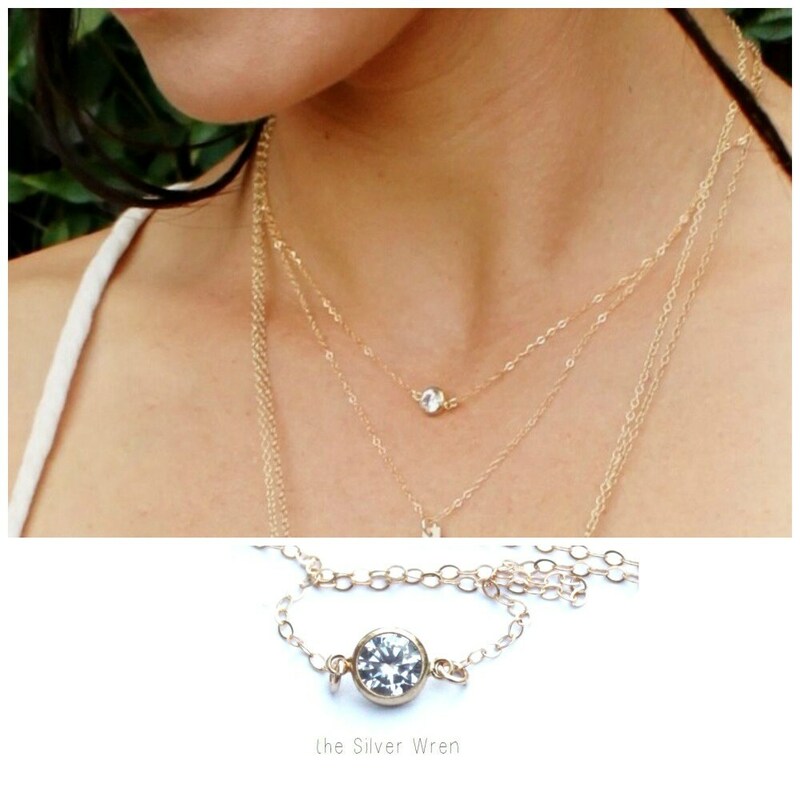 Listing is for the CZ necklace only, please visit our shop for other layering designs. Larger quantities are available for bridal parties. it looks great on !